The location is good, close to Bayswater and Queensway underground station. There are many restaurants nearby. The room is well equipped with induction stove, microwave, fridge, kettle and utensils. The TV is allowed to watch Netflix. Comfortable beds, wonderful towels, extremely clean & nice hot shower. Nice touch to lend us an electrical adapter plug, as we needed several for charging mobiles, running breathing machine (CPAP), hair curling and straightening appliances. The studio was perfect with flowers which was a nice touch, I felt secure and homely. The sitting room and garden were so individual and lovely with a resident blackbird in the garden. Zeus the cat was lovely and used to company. A great deal of care and effort must have gone into planning such fantastic accommodation with such attention to detail. The staff on the whole were great. So beautiful! Very quiet neighborhood but close to Portobello Road and right near the Underground. Great food and drink on every corner. Very friendly staff, wonderfully clean, safe, and a charmingly quirky atmosphere made this stay feel more like home than a hotel. All you need in a house in one small room! Perfect location; lively neighborhood open until late night but the property itself is in a nice quiet street. 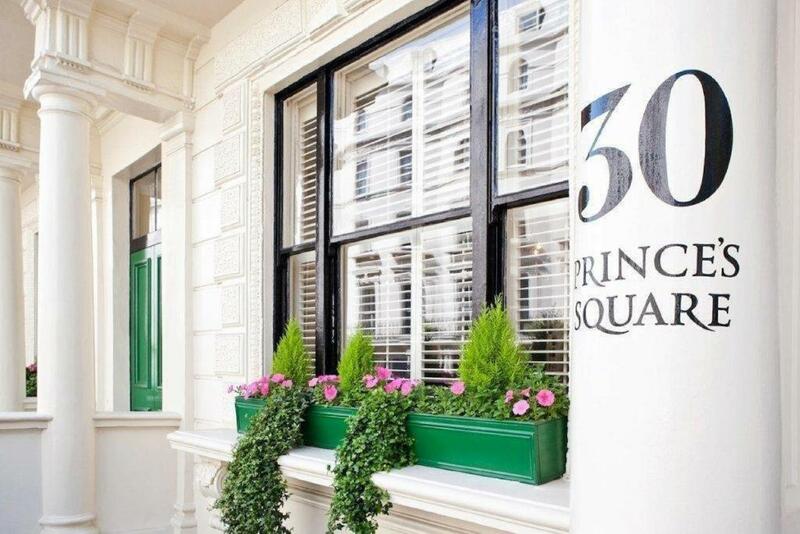 Lots of attractions in walking distance and also 5min walk from 2 tube stations. Perfectly clean room which get maintained daily. Nice garden, relaxed drawing room decorated with original antique items. Helpful staff; A package I ordered was arriving after I left the city. Staff assured me that they will take care of it. I eventually managed to cancel the delivery but it was nice to know they would help me if I needed. Staff was very friendly and helpful. The property is unique in style and you feel like you are going back in time. My room was very comfortable and kept clean on a daily basis. The amenities of having a kitchenette was very convenient. Staff was really nice and helpful. We had to wait for our flight and they let us leave our suitcases for safe keeping and also stay in a comfy room until we can go to the airport. Lock in a great price for Vancouver Studios – rated 8.8 by recent guests! One of our best sellers in London! Located just a 4-minute walk from Hyde Park in the heart of London city center, Vancouver Studios offers self-catering accommodations with free Wi-Fi access available for all guests. The property is a 2-minute walk from Bayswater Underground Station and Portobello Road Market is less than a mile away. Apartments at Vancouver Studios feature a TV and a DVD player. Complete with a microwave, the dining area also has a refrigerator and kitchenware. Featuring a shower, the private bathroom also comes with a bathtub and a hairdryer. Extras include a safe, bed linens and ironing facilities. At Vancouver Studios there is a garden. For guests that are interested in exploring the surrounding area, the Royal Albert Hall is a 22-minute ride by foot. Westfield London shopping center is 1.7 miles away and Buckingham Palace is 2.6 miles away. When would you like to stay at Vancouver Studios? This single room has an en suite fully tiled bathroom featuring a shower, a hairdryer, a fully functioning kitchen area, a flat-screen TV, a DVD player, Wi-Fi, a telephone, a table and chairs. This room is serviced on a daily basis. This double room features a private bathroom with a shower, a hairdryer, a fully functioning kitchen area, a flat-screen TV, a DVD player, Wi-Fi, a telephone, a table and chairs. This room is serviced on a daily basis. Just a five-minute walk from Vancouver Studios itself, this apartment is decorated with wooden floors throughout. The bathroom features a walk-in shower and a hairdryer. The bedroom offers a double bed and fully fitted wardrobes. With a sofabed, the living room features an LCD TV, a DVD player, free WiFi and a direct telephone. There is a fully equipped kitchen featuring dishwasher and a washer/dryer. With private bathrooms, this apartment features a kitchenette, a flat screen TV, a DVD player, free Wi-Fi, a telephone, table and chairs. This apartment is serviced on a daily basis. Please note that there is no elevator at the apartment. This twin room features a private bathroom with a shower, a hairdryer, a fully functioning kitchen area, a flat-screen TV, a DVD player, Wi-Fi, a telephone, a table and chairs. This room is serviced on a daily basis. House Rules Vancouver Studios takes special requests – add in the next step! Vancouver Studios accepts these cards and reserves the right to temporarily hold an amount prior to arrival. The room is overpriced, but this is common in London. A little noisy in the building morning & night. Missed having tissues. A bit of difficulty figuring out how to work appliances and finding the news on tv. There is no elevator so if you are not on the ground or first floor, you have some stairs to climb. There is no elevator in the whole building and the stairs are narrow and tall. It was really hard for me to walk 4 floors up and down carrying my luggage. One more thing, not a digital lock on the door and you have to leave your key in the front desk when you go out, felt a little bit unsafe. The location is very good. You can walk to the Hyde Park and the Kensington Palace within 15 minutes. It is close to Bayswater Station and Queensway Station, and there are quite many bus routes passing the hotel. (But Queensway is not a pleasant walking route.) The room is clean and quite spacious for a short and small person like me. It has a small bed but cozy. The view is nice. Limited kitchen bench place making it a bit difficult to prep food and wash dishes but it's not a big deal. Also there is no aircond thus it's a bit stuffy at most time. Good location and area is pretty safe. Clean room and comfy beds. I absolutely loved staying here. I loved everything about the staff and property. The garden was beautiful and having a hotel cat is a fantastic home like touch. Very welcoming. First and foremost, there is no lift, the stairs are minuscule and steep and I was on third floor. And I thought it was not nice that the receptionist didn't offer to give me a hand on arrival, seeing me with two large luggages on my own. Secondly, I had to manually lift the plug in the toilet sink to drain, otherwise it too a long time. Thirdly, I sometimes had to shower with cold water as, by not touching any dials, the water would suddenly turn cold. Fourthly, the electric hob stood switching on and off during use. Maybe I was not using it correctly? Lastly, the bed was on a small slope! Lol although its minimal, it is felt a bit. No elevator in the building and the staircase were less lit, it would be difficult to climb up the stairs with luggage. The price is high. The staff members were very cooperative and nice. The stay was very comfortable, if I go to London I would like to stay there again.